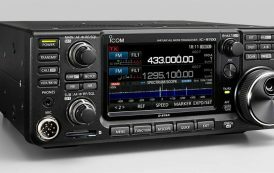 A 105-year-old ARRL member, Cliff Kayhart, W4KKP, of White Rock, South Carolina, is claiming the title of “World’s Oldest Operating Ham.” No official record of such milestones exists, but ARRL is not aware of any radio amateurs senior to Kayhart, and he is now quite likely the oldest active ham at least in the US. Early this year, Charlie Hellman, W2RP, died at 106; he also may have been the longest licensed. Hellman outlived the former “oldest US ham,” Harry Wolf, W6NKT, by 8 days. Wolf was a couple of weeks shy of turning 108. Kayhart now lives at The Heritage at Lowman Home. “I have had to get help getting set up after moving here from Tennessee,” he said in his QRZ.com profile. “Two local clubs, Dutch Fork Amateur Radio Group and Columbia Amateur Radio Club, have been there to help. It has been slow going. They tell me I may be the oldest operating ham.” Kayhart is active on 80 meters as well as possibly other bands. Born in 1911, Kayhart was first licensed in 1937 as W2LFE in New Jersey. He then was W9GNQ before becoming W4KKP. 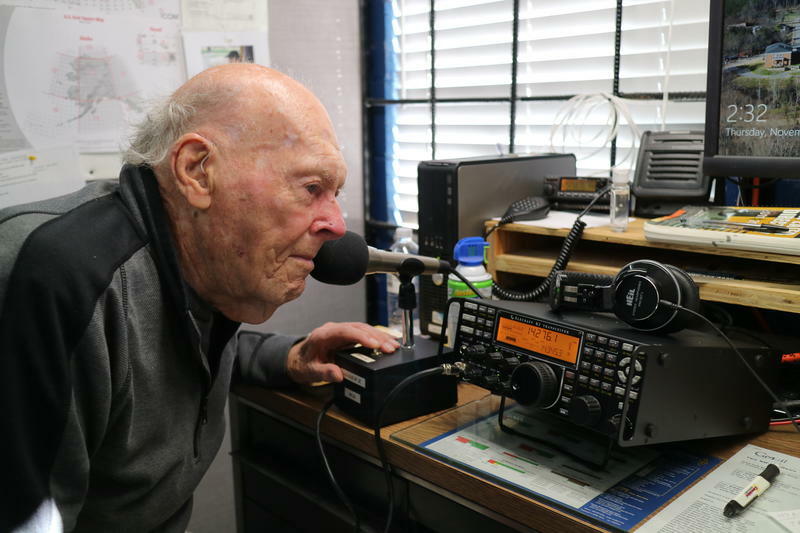 Kayhart’s interest in Amateur Radio began in the early 1920s, when he built a crystal radio. After modifying the inductor, he began hearing hams on AM. Kayhart graduated from high school just a few months before the Wall Street Crash of 1929, and he worked as a runner and messenger on Wall Street for a short time. He then got a job with AT&T as a Morse operator. After the company told him he’d need a college degree to advance, he studied aeronautical engineering at Tristate University in Indiana. But by 1934, during the Great Depression, no jobs were to be had in the aeronautical industry. “I found a job with RCA in electronics in 1934,” Kayhart recounted. “With my interest in electronics as a hobby, I had practical experience, but the only way I was hired was to tell them, ‘Hire me for a month, and if I don’t work out fire me!’” He was there for 5 years, remaining until nearly everyone else had been laid off because of the continuing poor economy. He had other jobs with AT&T, Philco, and Bendix, but then Pearl Harbor occurred in December 1941, and his work days lengthened. “In 1943 I saw an article in QST that the Army Signal Corps was forming a new group, so I thought I would be more useful joining up,” Kayhart said. “Because of my electronics background, I was offered a lieutenant’s rank.” He said the Army sent him to MIT and Harvard for additional training, while he was stationed at Fort Monmouth, New Jersey. Eventually he ended up in Hawaii, and from there shipped out to Iwo Jima, arriving the day of the iconic flag-raising on Mount Suribachi. “I was in charge of setting up commercial-type AM transmitters, so Iwo could talk with Washington, San Francisco, and China and Hawaii,” he recalled. He and his fellow soldiers made open-wire feed line and set up fixed rhombics.